The perfect way to hide your TV behind your choice of artwork. 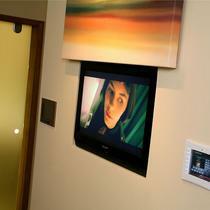 Your recessed TV can be hidden by a panel that either moves above or below the unit. We offer an installation service for this product. Please contact us for further information. Category: TV Moving Panel Mechanism. Tags: Future Automation, Moving TV, Picture TV, TV Mechanism, TV Moving Panel.